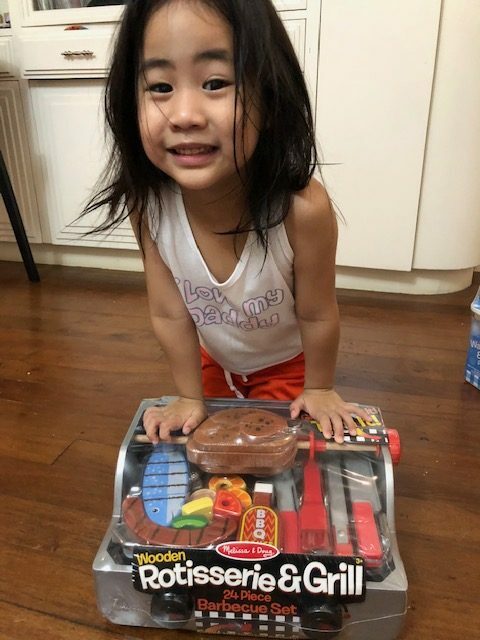 Your Ultimate Guide to Choosing Developmentally Appropriate Gifts: Part 2 | Chronicles of a Teacher Mom - Tanya is an early childhood educator. 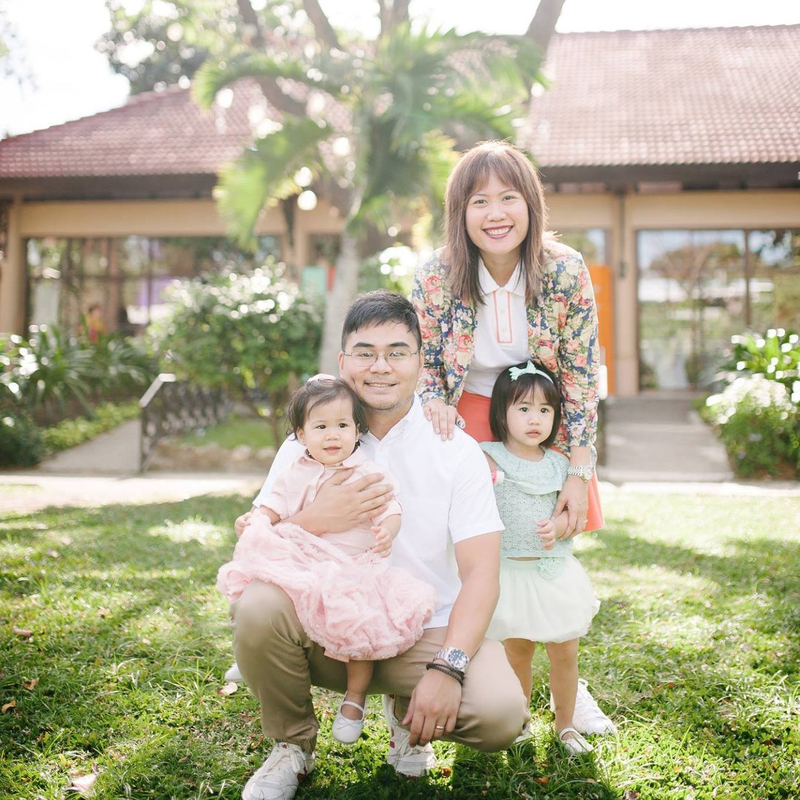 She graduated with a degree in Family Life and Child Development from UP Diliman and received her M.A. in Leadership in Education from Pacific Oaks College in Pasadena, California. Developmentally-appropriate gifts considers the child’s developmental level, his interests and his age. If a gift is developmentally-appropriate, then it will help build the child holistically. It will build on his confidence, his “I can do it” feeling, promotes focus and exposes the child to importance concepts (cause and effect, ability to predict, to problem-solve) through active play. 0-3 months: play objects should be those that your baby can touch, look at, hold, mouth, grasp and manipulate. It should be simple and baby-activated. It should also be lightweight since infants at this age are still fond of exploring their hands and exploring their world visually. 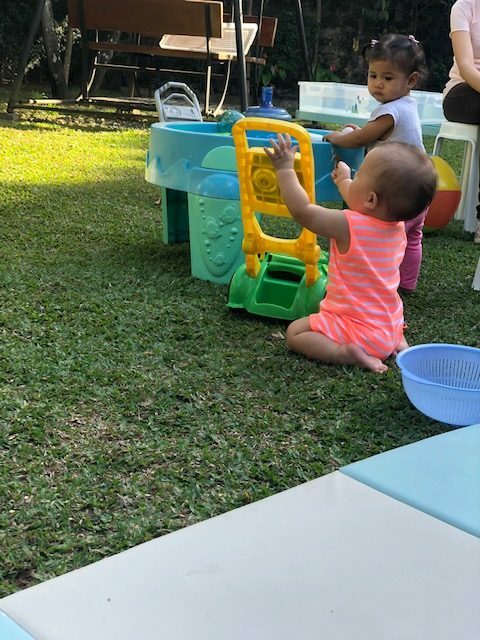 Eventually, they will start reaching for this simple toys, begin to grasp and when they are ready, they will pick it up on their own. 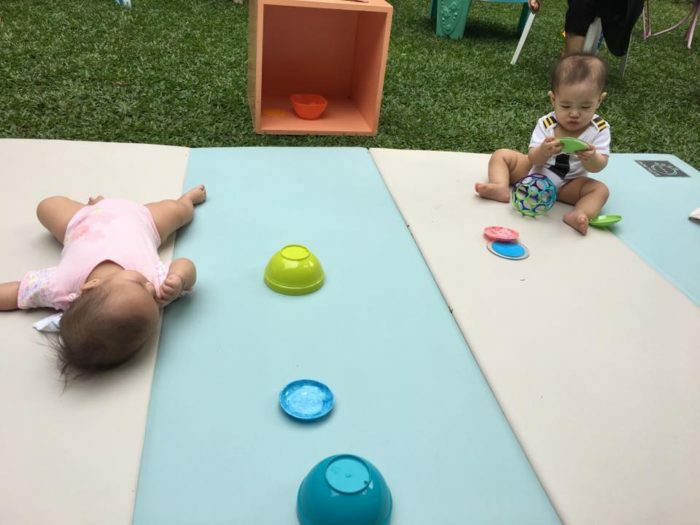 4-6 months: Play objects that the infant can squeeze, pat, grasp, place in mouth and touch such as: soft toys, teether, scarf (let it stand to a peak form), soft dolls, large rings, measuring spoons on a ring, textured balls. You can also include things they can shake and make noise with. Add to this, play objects that they can listen to- (books, recordings of lullabies and simple songs). It is also around this age that they begin to experience teething, so it is best to expose them to play objects with different textures that are safe for chewing. 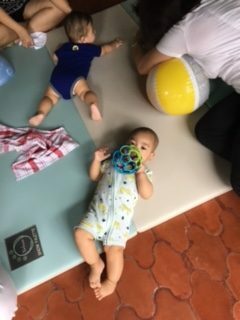 Here is Lauro grasping the light-weight ball during our parent-infant class. For infants who are into the advanced grasping stage, toys that enable them to stack such as: nesting toys for them to take apart are suitable for this age. 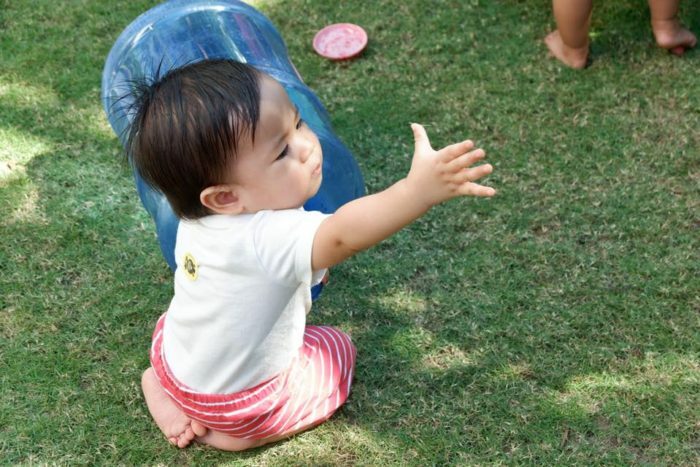 Play objects that they can drop and take-out such as: plastic bowls and balls are also good for mobile infants. Consider play objects that they can combine with other objects- things that they can pile, clap together, put in and take out, pull, push and scoop. Examples of these are: boxes, stacking rings, pegs and holes and balls ( different sizes, shapes and texture). My mobile infants class are exploring with a variety of play objects that they can stack, pile together, and that allow them to explore in many different ways. Play objects that encourage lots of movement: balls (small and large, variety of texture); small wheel toys; tunnels, ramps. 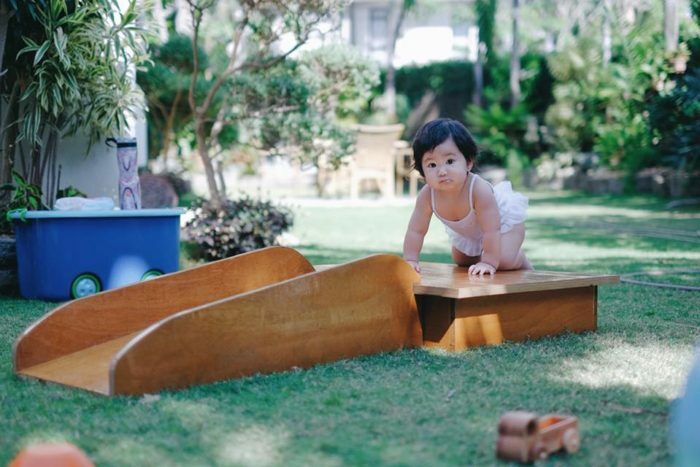 Since most of children this age are interesting in crawling or climbing, you can look into wooden structures with a short height, or platforms that encourage such movements. Also consider, push and pull toys that encourage them to actually move from one place to another. Kylan is in the crawling stage. He’s using this push and pull toy to help him cruise from one area to another. 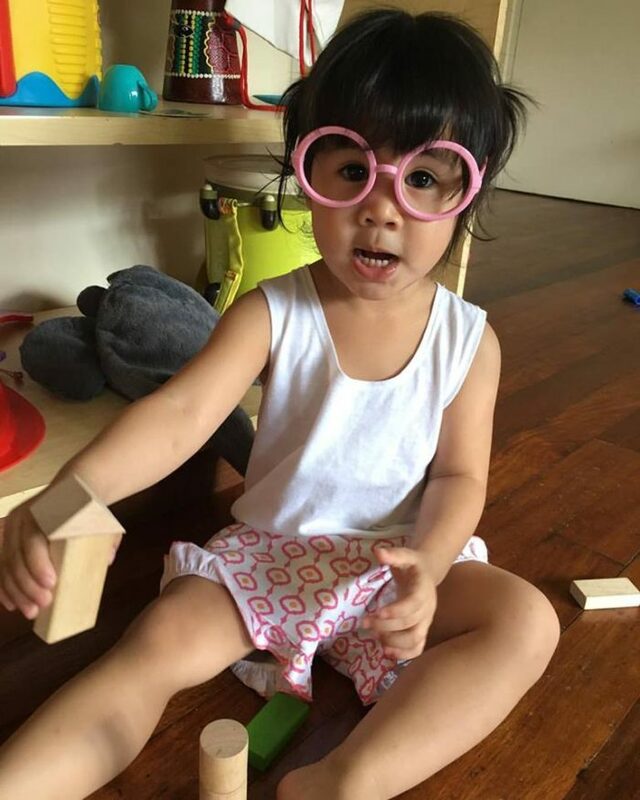 Play objects that can play pretend with- baby dolls, puppets, plastic and wood vehicles with wheels, water toys, kitchen utensils, telephones, toy animals. This giant water bottle is well-loved by my mobile infants. Wooden structures such as this can encourage climbing and lots of crawling. Toddlers (1 to 2-year-olds): Toddlers are active explorers. They love to dump, sort, collect, fill and carry. Consider play objects that can be put inside other things. Because they also love collecting things, toddlers enjoy holding a bag or a basket that they can carry around with them. 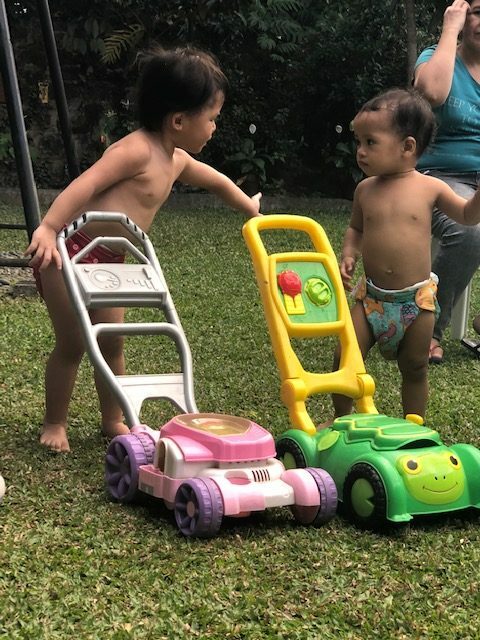 Since they are beginning walkers (for 1 year-olds) and able walkers already for the older toddlers, look for play objects such as: walking toys that they can pull behind them using a string or pushing cars around on their wheels. Toddlers also love to build. Consider investing in good unit blocks that allow them to be creative, to predict an outcome (what happens after the build? how tall is your building?) and to do lots of pretend play. My daughter Julia stacking one block on top of the other. She can do this again and again. 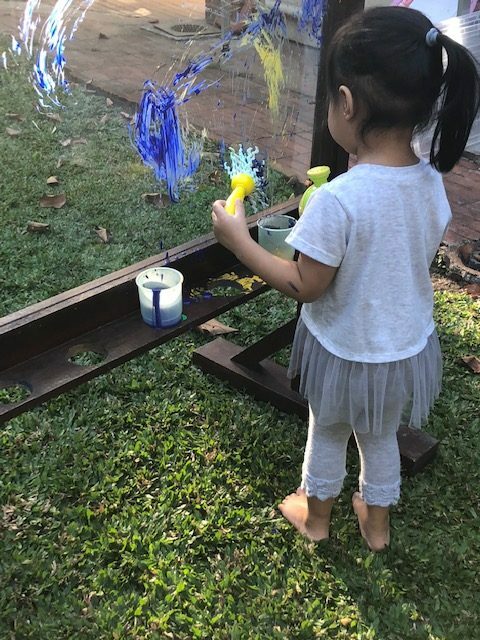 Once your toddler start to interact with play objects without actually the need to mouth them, you can already introduce them to simple art activities. 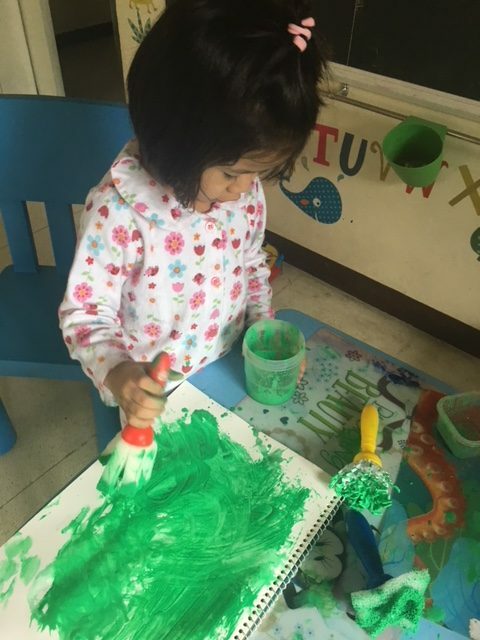 Having safe and good set of art materials is key to an enjoyable sensory experience, at the same time, the adequate support and encouragement from adults, too. 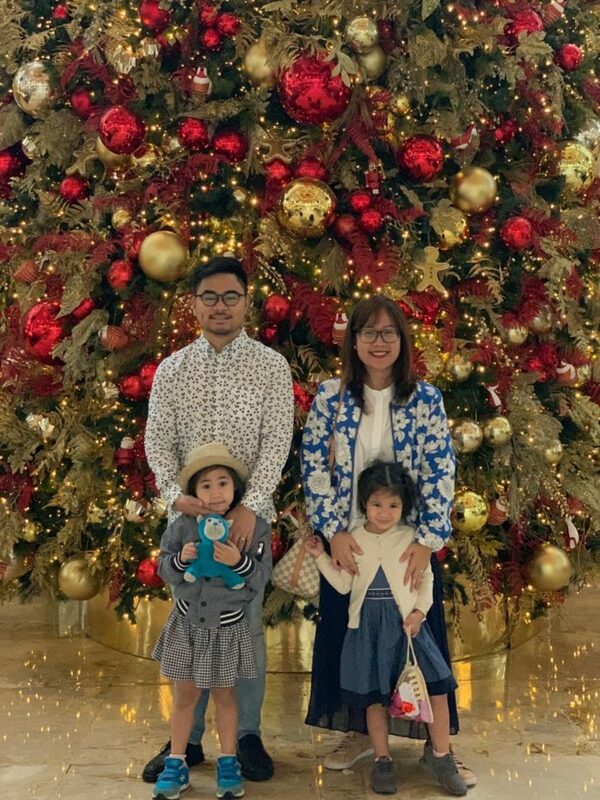 Gia is part of our Parent-Toddler Community. She’s exploring with paint using this age-appropriate paintbrush. These paint brushes from Crayola are appropriate for toddlers- easy to hold and manipulate too! 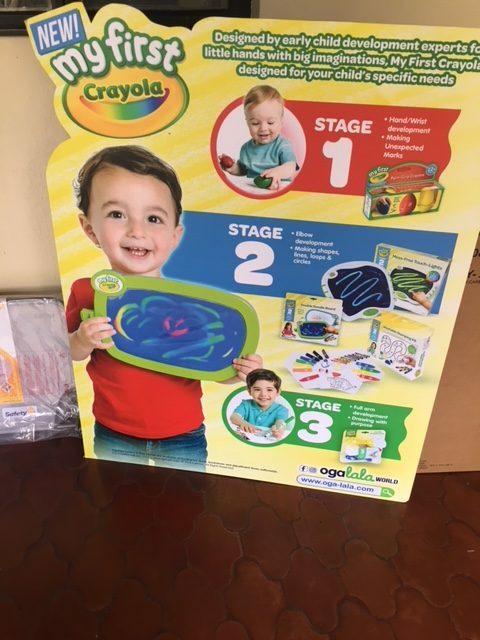 This guide from Crayola is a good reference to know which art materials are age-appropriate for your child. Preschoolers: Children at this age are more into complex kind of play, they love pretend play whether they are alone or with their peers. You can consider play objects that reflect what they see around them in the real world like cooking and cleaning tools. 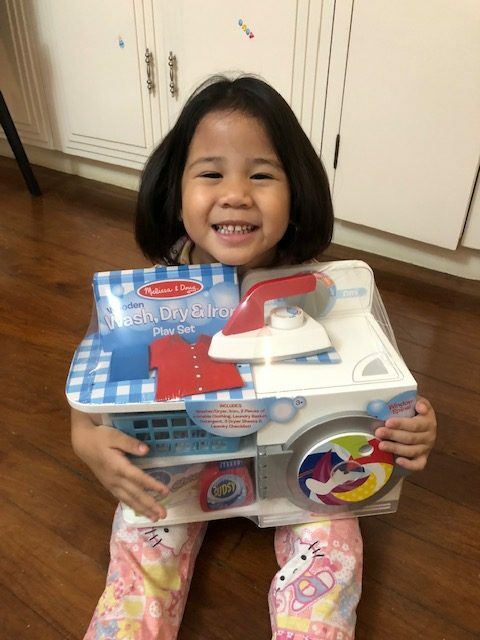 Here’s a pretend-play toy for some simple household chores. My daughter, Julia chose this when we visited Ogalala world. 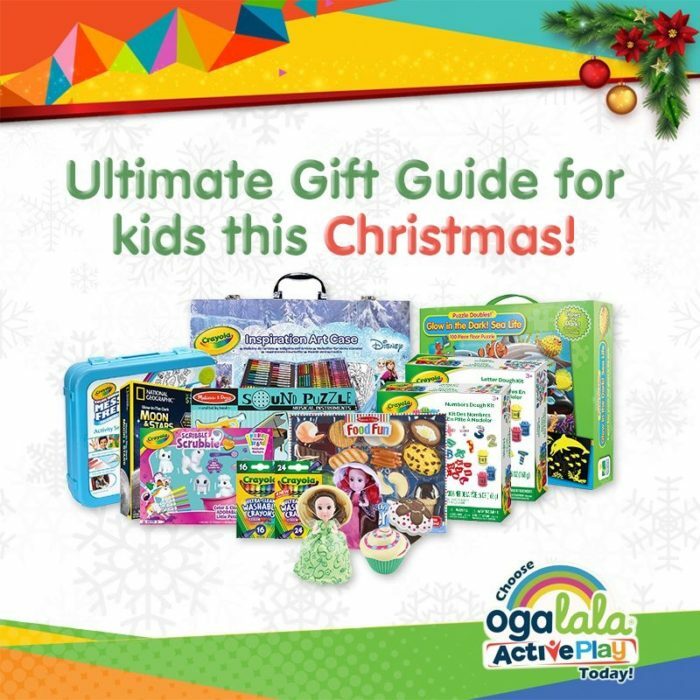 *This article is written in partnership with Ogalala World. I’m so happy to have finally found a store that advocates for learning through play, and where I can easily avail of these learning materials that I usually would source internationally.